An exciting city to call home, Gilbert is a diverse suburban center near Phoenix that’s currently experiencing high growth. Gilbert has been named one of the best places to live in the United States multiple times, including ratings by Sperling’s Best Places and Money magazine. There’s a lot to love about Gilbert, with a low unemployment rate, low crime rates, and top performing school districts. 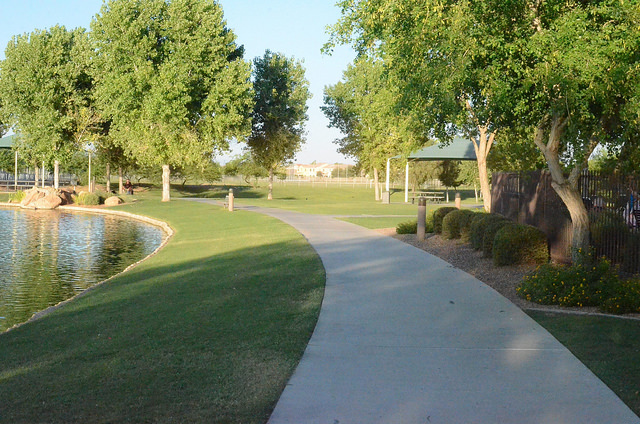 Plus, Gilbert has a 100 acre wildlife preserve with miles of trails and excellent golf courses available in the area. As the population of Gilbert continues to expand, real estate in the area is increasingly competitive. In this market, it’s essential that you work with a highly qualified real estate agent that can see to your best interests. We’ve highlighted the 15 best real estate agents in the Gilbert area here. In this list, you’ll discover the leading agents working in the Gilbert area with a great track record of satisfied clients, closed sales, and growing communities. Our list of Gilbert’s best real estate agents is in no particular order, as they are all excellent professionals. But we would like to hear from you which one is the best. Vote in our poll over the next 30 days to let us know which Gilbert real estate agent is the best! Rachael Richards is a buyer’s agent and listing agent with special skills in relocation and more than 11 years of experience in real estate. Leader of the Rachael Richards Group, her team has been a leader in the Gilbert real estate market for more than 10 years. Richards excels at delivering not just exceptional customer service, but exceptional results. Her team puts customers first and services them using innovative systems and technology. The Rachael Richards Team is consistently ranked among the top 1% for local sales, and was named to the Wall Street Journals 2012 and 2013 lists for top producing real estate teams in the nation. Clients feel that Richards and her team take special care of them, walking them through every step of the process. They say she makes the process of buying or selling a home positive and less intimidating with constant contact and support. Owner of Mister Rogers Homes Group in Mesa, Shawn Rogers has more than 11 years of experience and specializes in the Gilbert area. He works as a buyer’s agent and listing agent with a special interest in short sales, relocations, and property management. He’s earned a number of awards and designations including Top Producer, Award of Excellence, Multi Million Dollar Producer, Certified Military Residential Specialist, and Certified Short Sale Property Expert. In addition to buying and selling homes, Rogers offers support for home owners with a local team of experts including inspectors, title company, handymen, and lenders. Clients say Rogers and his team are thorough, quick to respond, and excellent at finding the right homes for their needs. They also highlight negotiation and finding great deals as a particular strength of Rogers and his team. 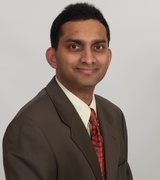 Kiran Vedantam is a real estate broker with Kirans & Associates Realty. He is ranked among the top 150 Realtors in the nation by Real Trends/Wall Street Journal and was ranked the number one real estate agent in Arizona in 2012 by number of transactions. He is also a Multi Million Dollar Producer and an Honorary Mention of the AZ Real Estate Achievement Award. In his 11 years of real estate experience, he has negotiated more than 400 homes for sale, and he is known as humble by his clients, but an aggressive negotiator on their side. Vedantam has been featured as a radio talk host on multiple stations including the KFNX 1100 B2B Radio show, KQCK In the Know with Tom Diller, KKNT 990 Real Estate Radio Network, and KQCK Mark Winsor Show. His clients say he offers exceptional service as they work through the home buying or selling process. They appreciate how well Vedantam and his team meet their requirements, follow up, and support them as they make important real estate decisions. 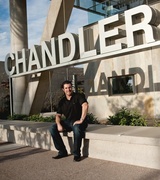 A lifelong Arizona native, Frank Gerola has been a real estate professional since 2003. He specializes in helping buyers, sellers with real estate services and outstanding customer service. Gerola serves all needs in real estate from first time buyers to experienced real estate investors. To better serve his clients, Gerola continually studies he Gilbert market and enrolls in continuing education. Gerola is active in the community and serves on the board of directors for the Gilbert Buys and Girls Clubs. In 2015, he was also recognized as one of the Top 40 Real Estate Agents Under 40 in the valley. Clients say he is always on the ball, quick to sell and find homes, and easy to contact. They appreciate how seamless and efficient his service is. 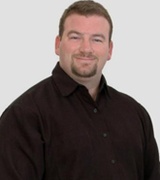 Bill Bisset is a full time real estate professional with more than 20 years of experience. He is a seasoned agent with a number of designations including Graduate of the Real Estate Institute, Certified Distressed Property Expert, Certified Short Sale and Foreclosure Resource, Certified Foreclosure REO Specialist, and Certified Short Sale Negotiator. He takes a low stress, high trust approach to real estate and offers a genuine, sincere, and compassionate service for his clients with demonstrated knowledge and passion. Bisset is available to his clients any hour of the day, and works to make the entire transaction smooth and enjoyable. Clients value his knowledge, willingness to help them at any time, and the effort he puts into advertising homes for sale. They say he demonstrates excellent service in negotiation and works to make sure their interests are protected. Merrill Jencks prides himself on being a helpful, passionate agent. He offers full time service and stresses the importance of being organized, ethical, diligent, and offering strong communication skills. You’ll always be in the loop with Jencks, and he is available practically any time of day. Clients highly value his service, whether they’re buying their first home or flipping a property. His clients say he is professional, knowledgeable, quick to respond, and always willing to help. They love how well he stays in contact every step of the way, as well as his highly professional service. 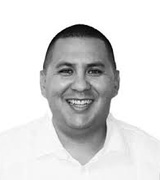 A native of Arizona, Darwin Wall has more than 19 years of experience in real estate. 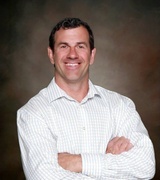 He is a three time ProSmart Realtor of the Year, as well as a graduate of Arizona State University College of Business. Wall specializes as a buyer’s agent and listing agent offering particular services in foreclosures and short sales. His status as an Arizona native is invaluable, as he understands the areas and market better than most. Clients appreciate his longevity and skill set, as well as his ability to make their experience in real estate less stressful. They say he is able to put their concerns at ease with quick replies, prompt service, and a positive attitude. 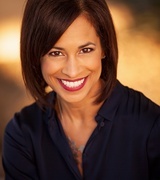 Aimee Burrell is the founder and broker of Elpis Real Estate Boutique. She has more than 14 years of experience in real estate and is known for her dedication and tenacity. Burrell is committed to continuing education in real estate, so she has an extensive list of designations including Certified Distressed Property Expert, Certified Luxury Home Marketing Specialist, Certified Negotiation Expert, Certified Residential Specialist, Five Star Institute REO Certification, Five Star Institute Short Sale Certification, Graduate of the Realtor Institute, Seller Representative Specialist, and Million Dollar Guild Member. She specializes in short sales, bank owned and institutional sellers, as well as luxury homes. Clients say she makes everything easy for them, and they love her personality. They say she covers every last detail, and they appreciate knowing that they have nothing to worry about when they’re working with her. With more than nine years of experience in real estate and a native Arizonan status, Jon Littlefield is the ultimate source of real estate support for his clients. He puts the needs of his clients first, building a relationship of trust with accessibility and excellent responses. Clients will benefit from Littlefield’s cutting edge tools and technology as well as personalized service and quality advice. Littlefield is a native of the East Valley and a graduate of Arizona State University and the University of Phoenix. 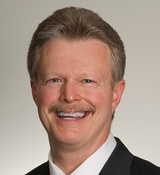 His designations include Certified Short Sale Property Expert and Certified Negotiation Expert. Littlefield’s clients say he always makes the sales process smooth and seamless with attention to detail and excellent service. They rely on him as a source of knowledge for the Gilbert real estate market. 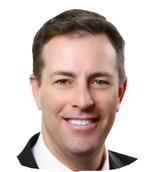 John Cox is a five star agent in Gilbert with more than seven years of experience in real estate. 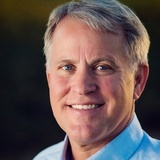 He is committed to delivering professional service for buyers, sellers, and investors throughout the Gilbert area. Cox excels in negotiation and marketing, and is trusted by his clients to sell, buy, and negotiate the best deals for homes. He is an active member of the National Association of Realtors, Arizona Association of Realtors, SE Valley Regional Association of Realtors, and the Arizona Multiple Listing Service. Cox’s clients say he is professional and knowledgeable, and they particularly appreciate his communication skills. They say he keeps them informed and they always know where they are in the process. They love how helpful he is, and appreciate that he is available on short notice to serve them. 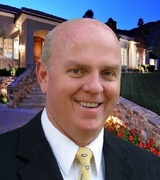 A lifelong resident of Gilbert, Rick Evans is proud to be a knowledgeable local real estate agent. With his resident status, he has exceptional knowledge of the valley and is a particularly strong resource for buyers and sellers throughout the Gilbert area. Evans specializes in helping home buyers, sellers, and investors, and also offers services for foreclosures and short sales. He focuses on excellent communication, prompt service, and tough negotiation to get the best deals for his clients and offer them a rewarding, pleasant home buying or selling experience. Clients say he is easy to work with, flexible, and offers great advice. He comes highly recommended by satisfied clients who value his expertise and his willingness to be just a phone call away at all times. 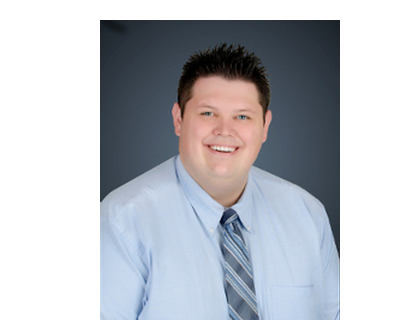 Jesse Herfel is a lifelong resident of the East Valley and a Realtor with more than 18 years of experience. He is an expert in finance, contracts, negotiation, and marketing, and is dedicated to using his skills to create the best outcomes for his clients. Herfel is committed to helping clients achieve their dreams in real estate. His clients say he is responsive around the clock, offering patience and excellent advice. They feel like he is always looking out for them — because he is. 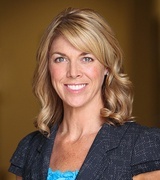 Kelly Judy is the designated broker for Mesa Verde Real Estate in Gilbert. He has an amazing 38 years of experience in real estate with hundreds of closed sales. 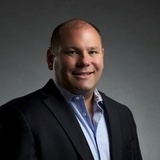 His strengths lie in his extensive negotiation skills, local expertise, and comprehensive Internet marketing skills. Judy values good communication and is always easy to reach. He holds a number of distinctions and designations in real estate, including Certified Residential Specialist, Accredited Buyers Representative, and Graduate of the Realtors Institute. He has served on the board of directors of the Southeast Valley Association of Realtors. Clients say he is a pleasure to work with and they often return as repeat clients for buying or selling homes years later. They appreciate his professionalism, years of experience, extensive knowledge, and ability to keep them informed every step of the way. 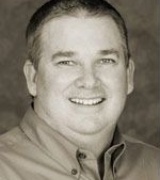 Owner of Arizona Online Realty, Randy Roach is a broker for the Phoenix metropolitan area. He specializes in supporting buyers and sellers as they find homes and market their properties and has served hundreds of clients over the years. Roach has more than 14 years of experience in real estate, and prides himself on his extensive knowledge of the greater Phoenix metro area. He is dedicated to superior service and excellent results. Roach’s clients are impressed by how hard he works to make sure they’re comfortable and well informed in every decision. They especially appreciate how well he keeps on top of their details, acting as a project manager to make sure every party is doing their part and meeting deadlines to ensure a smooth closing. 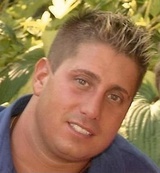 Ed Surchik is a full time top producing Realtor with Red Brick Realty. Surchik has lived in Arizona for most of his life and is a resident of Gilbert. He is dedicated to top notch customer service, supporting each client expertly as they meet their goals in real estate. Surchik always works in the best interest of his clients, and is excited to offer service to first time home buyers, sellers, and seasoned investors alike. He insists that the success of his clients means his success, and is committed to being by the side of his clients every step of the way. Surchik’s clients say they are thankful to have him on their side. They’re impressed by how well he is able to negotiate for their benefit, and how well he walks them through every step of the process.